June was a bit of a blur. I finished reading the final book in The Glassblower Trilogy the first weekend, and then didn't want to commit myself to starting something new. I was filling in for people on vacation and planning four live shows so I didn't want to start something and then not finish it. Instead, I reread two of my most recent favorite series finds, back-to-back-to-back. 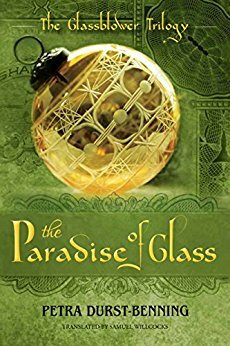 We'll start with The Paradise of Glass by Petra Durst-Benning, the final book in The Glassblower Trilogy. This book picks up right where the second book leaves off. It focuses mainly on Wanda, who ironically begins down the very same path her mother walked in the first book, but she figures out Peter isn't her soul mate before they get married. Wanda has decided to stay in Lauscha to take care of Marie's baby; she moves in with her father and helps reinvigorate the Heimer workshop. She also convinces the villagers of Lauscha to go in together to buy the foundry, which is what the book centers around. The villain from the first book re-enters the story, and he's been holding a grudge against the Steinman family all these years. The third installment of this series brings everything full circle. It does move a little slower than the first two books, and I definitely missed Marie's presence (she was my favorite character). Overall, I would recommend this entire trilogy. I am so glad I found The Paper Magician series by Charlie N. Holmberg last year. I read the first book, The Paper Magician, and fell in love with the main characters - Ceony and Emory, so much so that I practically gobbled up the other two books, The Glass Magician and The Master Magician. These are some of the most unique romance novels I have ever read. If you're a fan of Harry Potter, read this series. 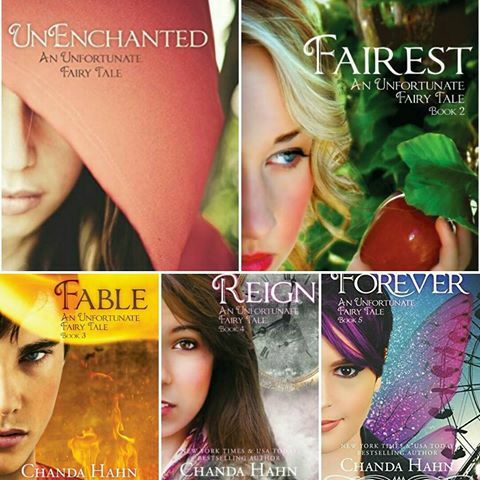 I started Chanda Hahn's An Unfortunate Fairy Tale series by taking a chance on a free book. Once I read Unenchanted, I was hooked. Hahn has created such a unique story using the brothers Grimm as a starting point. Mina Grimm is a descendant of the brothers and carries on the family tradition of fighting fairy tales set by the Story. This series has given me a book hangover each time I've read it (this last time was number three). All five books are quick reads, although I must warn you that if you read it on a Kindle or Nook, the editing gets worse as the books progress. It's not so bad that the books are unreadable, but I would advise Hahn to spend a little more money on that process in the future. I haven't settled on what to read yet this month. 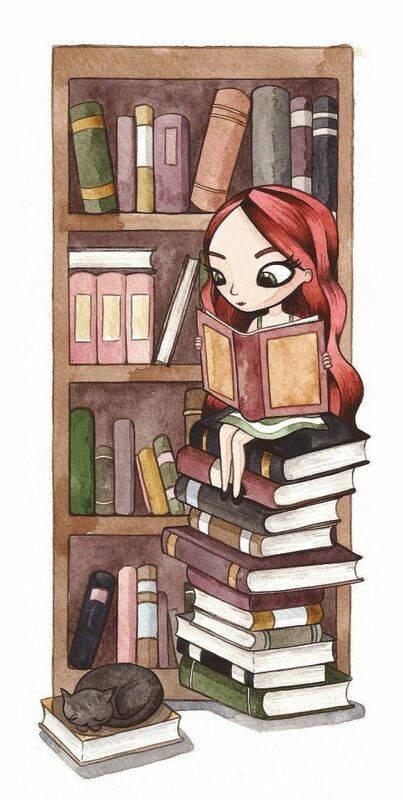 Leave me a comment with what you're reading!